My project vehicle for 2008 was a Mazda B2500 Rap Cab pickup. No, I’ve never seen one either until I looked, but they may be better known and are much more numerous as Ford Rangers, built by Mazda for Ford in Thailand – the second biggest pickup market in the world after you-know-where. Ford partly owns Mazda – or did back then. Apart from describing a constricted space where one can get down, ‘Rap Cab’ is Mazda’s naff name for Ford Ranger’s identical Super Cab and similar to Nissan Navara’s King Cab and a Hilux Extra Cab – or as I call them: a cab-and-a-half. (‘RAP’ actually stands for Rear Access Panel). 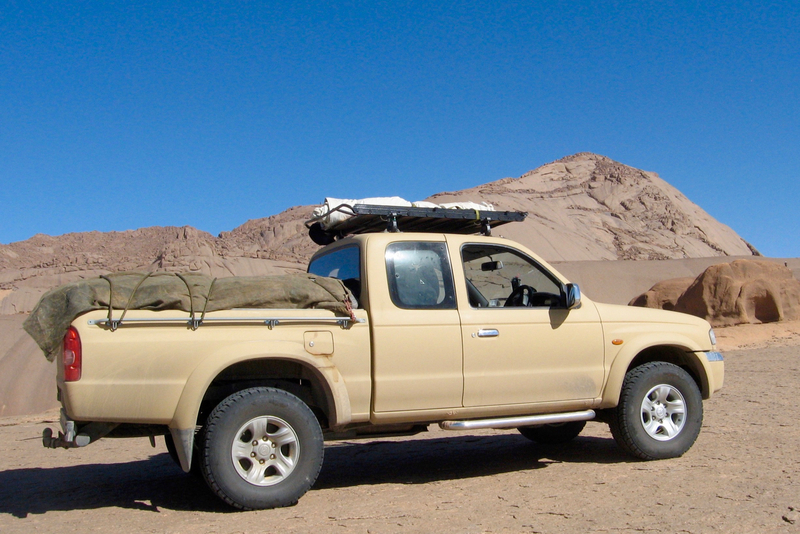 Double cabs are more common in the UK but all I needed was an extended cab to securely store more gear than a single cab and tip the seat back, plus a longer bed than a double to transport and tow 3 + 3 bikes on a bike tour as well as a recce in Morocco. I was interested in ‘commercial’ models with manual features but with air-con. 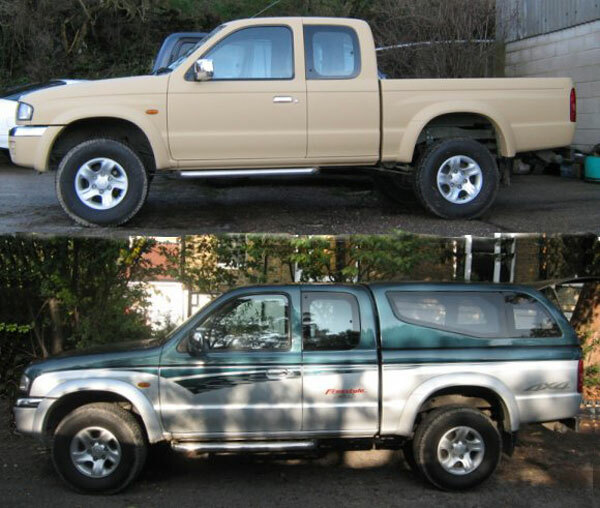 The then trendy, over-accessorised lifestyle models like the Navara and L200s weren’t even looked at (Nissan engines were time bombs, it seemed at the time). 4×4 Magazine produced a handy booklet of 40 reprinted pickup road tests which helped with comparative specs, but was not exactly a thrilling read as all these vehicles are boringly similar. 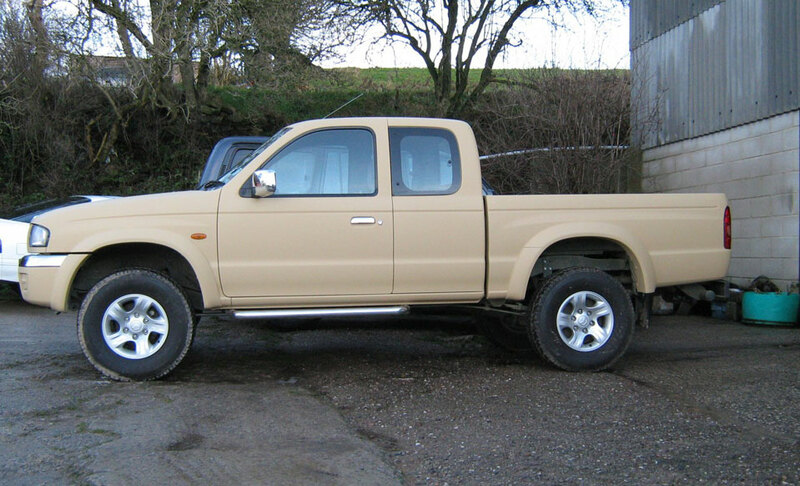 I located a nice-looking 2.5 Isuzu D-Max Rodeo, only 30,000m, 2003, canopy, for £7000. but was it was a 118hp Thai direct import which much web-trawling revealed that it lacked at the very least an intercooler, under sealing and the CD of official, 130hp UK models. And I was not keen on the electronic button for 4WD engagement. Normally I’d play it safe and chose a Toyota, but post-2003 2.5 D-4D Hiluxs are over-priced for a lame 103hp, and there were no Extra Cabs in the UK before the introduction of the 3-litre 2006 model (which has no rear doors, a big part of the appeal of RAPs and similar). I had a spin in the nearest-to-me double cab 2.5 D-4D anyway. A couple of years old, chock-solid with mud underneath, a ply-lined load bed falling apart and oil filler cap missing. And stilleto-clad dealer babe wanted 12,000 quid! I felt sorry for her. 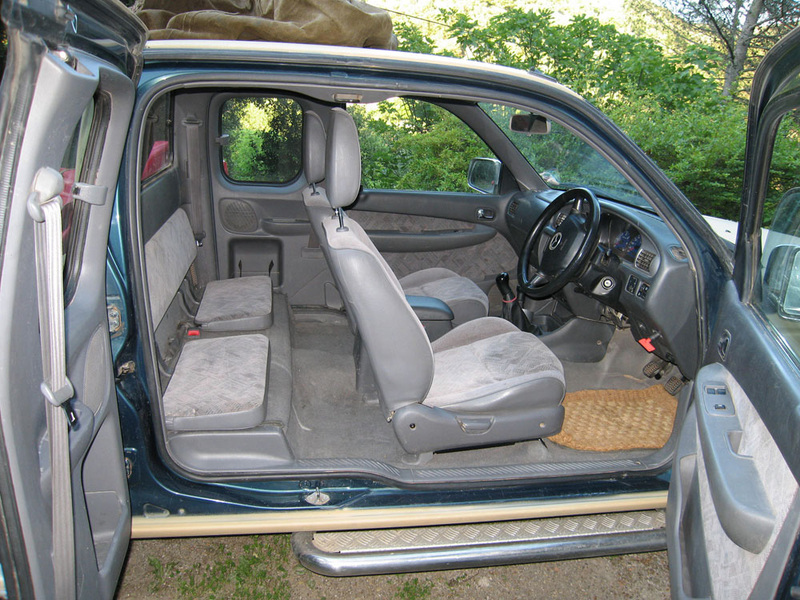 Of course I wanted an extra cab Hilux and, looking in Europe, found plenty in Germany from around €11000 for 2003 onwards. But although LHD would be preferable, going there and the whole re-rego thing would add another £grand. And common rail back then was still a bit of a gamble with dodgy desert fuel. There are enough possible problems out there. Then, hamdulilai! parking at Tescos one day I spotted a Ford Ranger Super Cab. I was obsessed with cab-and-a-halfs by this time but I’d dismissed Rangers as being a ‘Ford’. I took off my blinkers and did some research: 108hp – the last of the pre-CRDs up to 2006 with lever-actuated transfer on a switchable front diff engagement button. A very nifty forward-opening rear ‘half doors’ (great for loading), intercooled, front torsion bars, rear leaves, 15”s. All in all, nothing too radical and rated as unfashionably functional. Suits me sir. 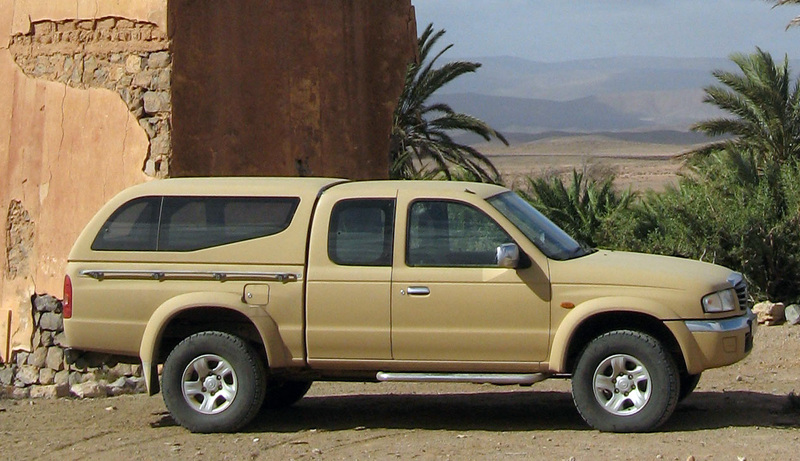 Then I cottoned-on to the even less fashionable but identical Mazda B2500. Ford or Mazda, it didn’t bother me by now as I had it licked as long as it had air, low miles and a canopy. 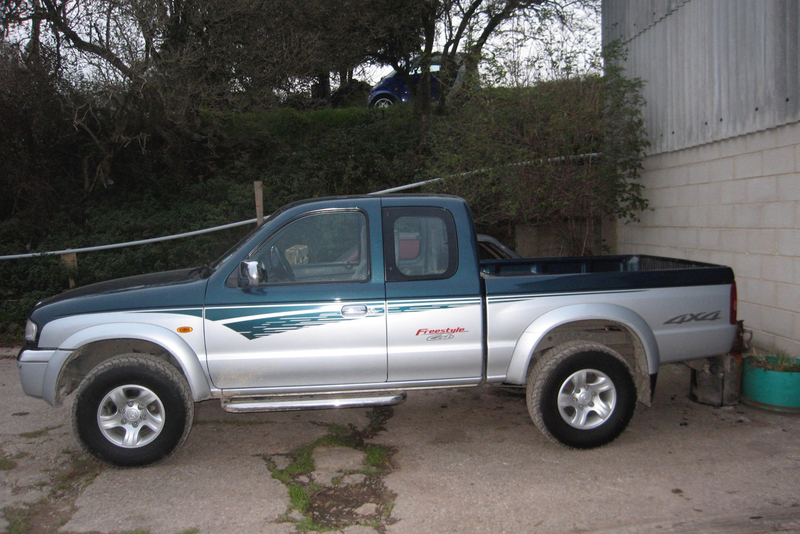 Eventually I settled on a 2003 Mazda in Wilts with 50,000m on FSH for £6500. Off it went to Matt’s Barn in Matlock. 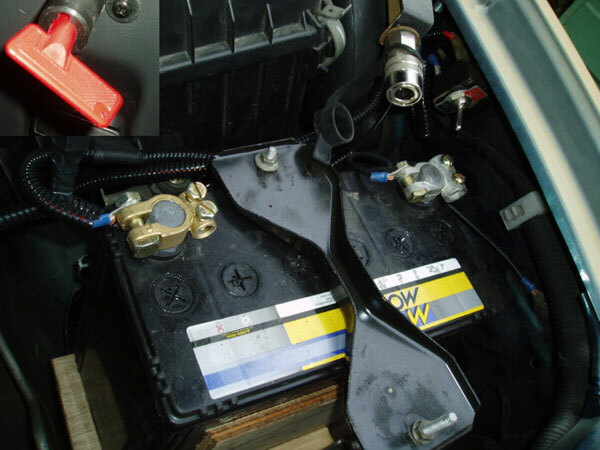 Small second battery with a switch inside the cab (inset) to connect it to the alternator on the move and isolate for night lighting etc. Might be just enough to start the car by itself too. By the right hand pole you can see the compressor air PTO. the lid, rated at 2.5 cfm. When you release the trigger it stops; pull and it starts up – whatever next! Besides tyres it’s needed to lift the back suspension too.The pump breather was extended to get it out of the dust. Uprated OME front torsion bars. Easy to fit, tricky to fine tune precisely said Matt. Firms up and raises the front by 20mm without frightening the horses. Air-adjustable helper springs over the back leaves. Pump up for carrying and towing 6 bikes or when maxed out with fuel and water; deflate for shopping at Tescos and dealing with speed bumps. A Schrader valve near the back numberplate does the business up to 100psi. 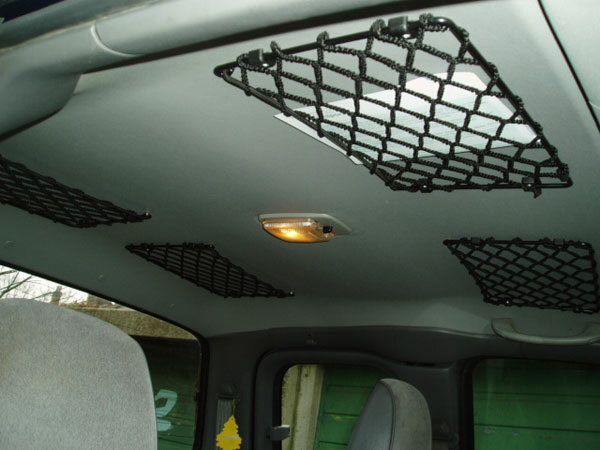 Storage nets inside the cab roof for… storing things. Still handy today. More lashing points in the bed to keep bikes and oil drums from rolling around. 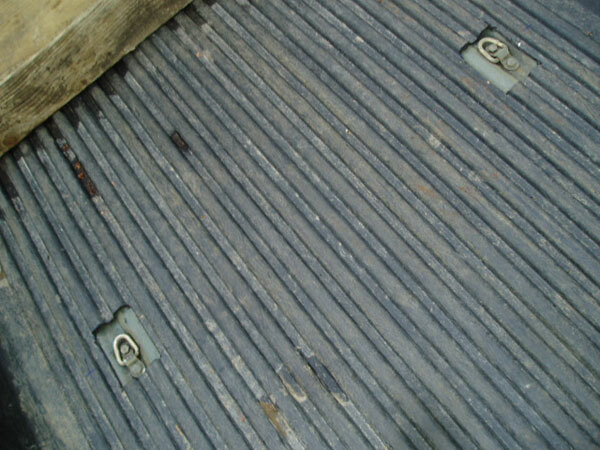 Some Ranger rope rails bolted to each side of the load bed. Very useful. 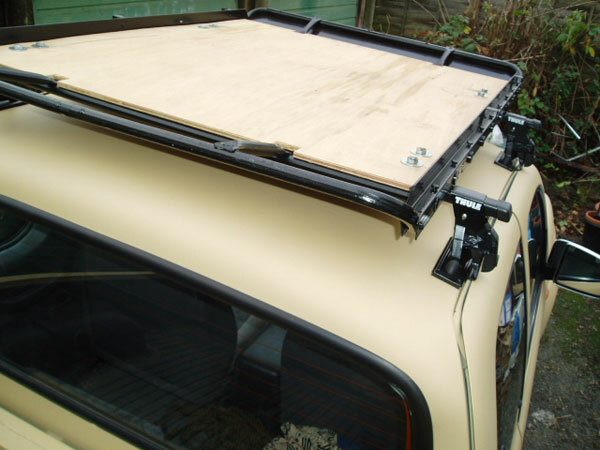 Got an old Volvo estate roof rack off ebay for a fiver. Matt shortened it, braced it a bit and we mounted it over a pair of steel Thule roof bars. It’s not the neatest, lowest-profile, toughest system, but without good old gutters what can you do? It all worked fine. 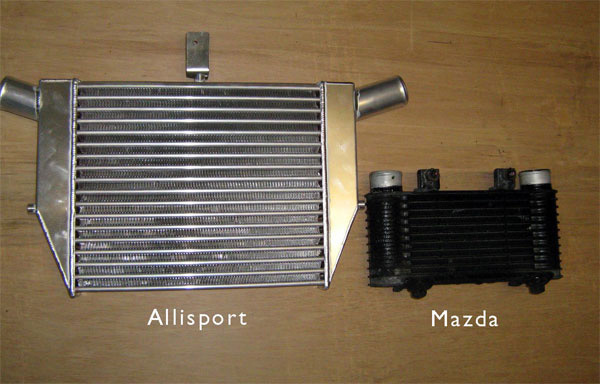 I decided to get an Allisport intercooler and a chip to help with the towing and hopefully improve the mpg. Result? More poke; but same mpg. OE and Allisport coolers. A chunky 3-bike trailer. Found that on ebay too. It will get a repaint, new tyres and a spare wheel. Oh and another NATO Sand paint job why not, it’s Christmas after all! I came back from a desert trip and there it was, all done and smelling of day-old paint. As always Matt and his unidentified associates had done a brilliant job and making the right decisions all for a couple of grand with parts. It’s nice to be able to leave a vehicle with him knowing he’ll stick to the script and do the right thing. “It looks better than I thought it would with the new paint” he said. 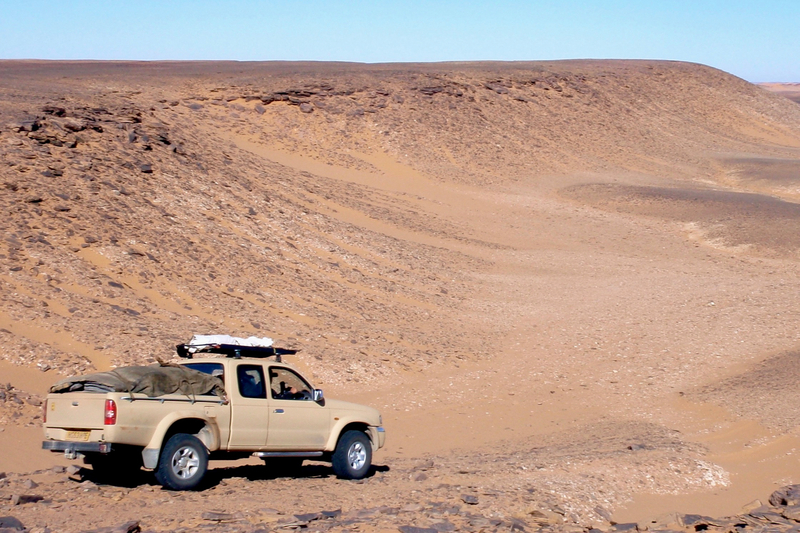 “Why wouldn’t it?” I asked (this was my third NATO Sand car). “Well it looked fine before”. It seems that painting over a perfectly good (if wanky) factory paint job had caused him a Dark Night of the Spraygun, but who over 8 years old wants to drive around with fake silver mud splash and ‘Rap Cab, 4-Work, FreeStyle!, Live Life to the Maxx ’ stickers on their car? Car’s got noticeably more torque after chipping, as you’d expect; probably as much as my old 130-horse HJ61 but without the trans-mashing grrrunt or the 6-cyl smoothness. For a 2. 5 it will do nicely though. 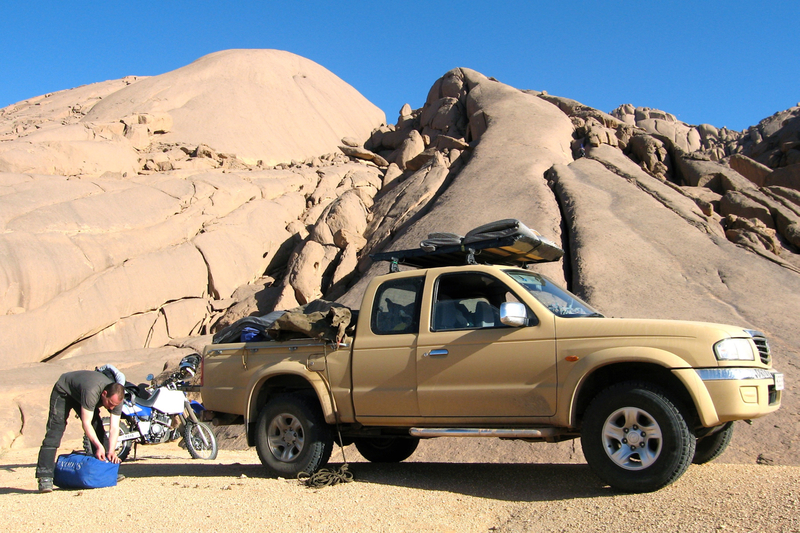 Since then I towed six bikes to Algeria and back, no problems apart from a ‘misfire’ at a steady 60 when I got back on the highway. 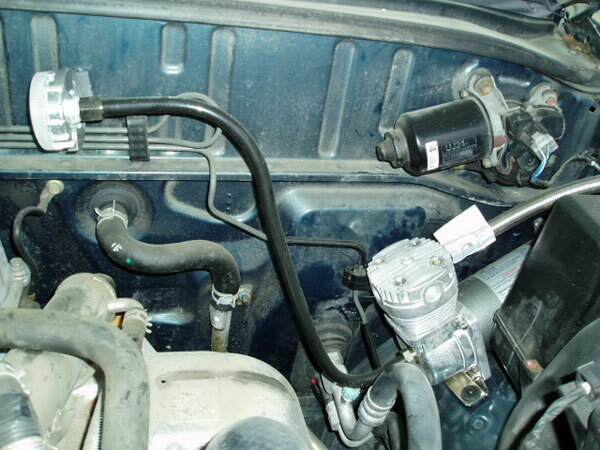 Assumed it was crap in the fuel line or choked airbox, but Matt thought it may be a sticky EGR valve which can be disconnected and blocked off. 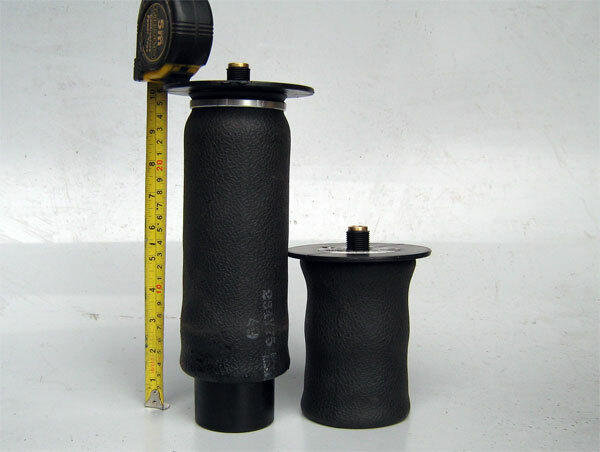 It’s a common problem with EGRs and it rarely happens now and seems to have gone away. On a fast run it gets quite hot in the small cab with the bigger intercooler, or maybe it always did; the cubby box and cup holder areas get very warm. Means you need a/c when you don’t really want it, but will be handy in winter. 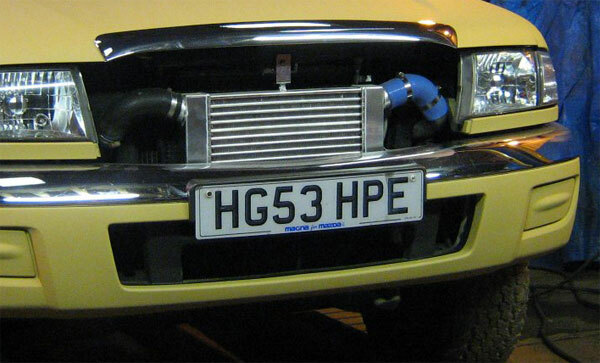 I know Defenders with bigger intercoolers get very hot. I guess it’s the price of more power. The water temp needle never moves above normal no matter what you do. Plenty more power with the same economy – usually 25mpg or 8 kpl, can manage 30 and best ever was 34 down to France with a tail wind that was blowing trucks off the road. 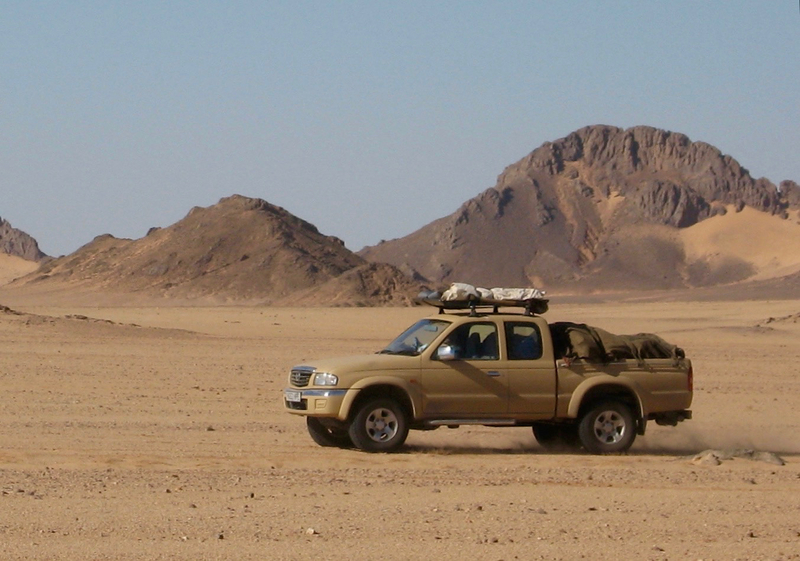 One day in Algeria I had it down to a 15mpg towing fast against the wind. Good thing it’s only 11p a litre out there. 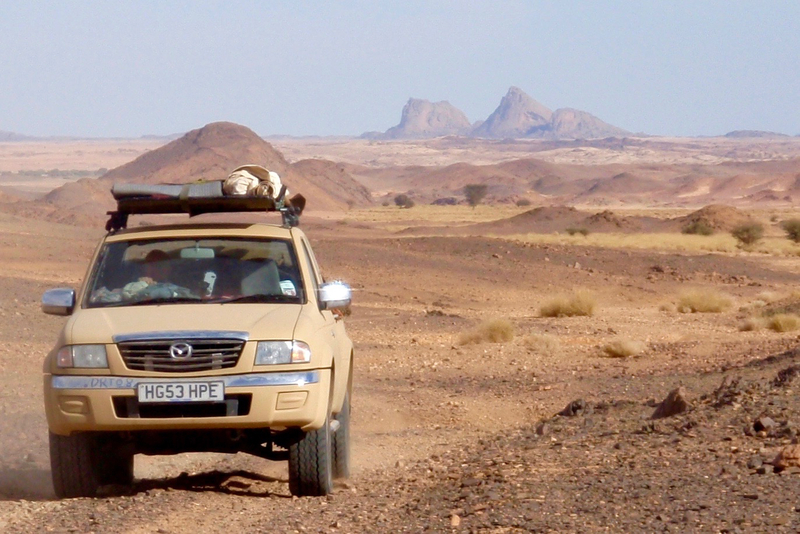 In April and May 2008 I then spent a month alone in Morocco researching the original edition of Morocco Overland. Morocco tracks can be rough (the canopy got repeatedly dislocated and the front window glass came out due to chassis twist) and I broke some of the OE sub-leaves on the back. The good thing is the airbags kept the car high and level so I didn’t even notice until a broken leaf worked loose and banged on the wheel rim. So airbags are like a backup suspension: write that down! I fixed one side in Ouarzazate then noticed the other side was broken too but left it and got some OME leaves back in the UK. It’s pretty bumpy when empty but a guy suggested I make sure the air bags are fully purged when deflating. That rattle on some low gear hard power clutch changes is still there sometimes. It can’t be the release bearing and it survived Morocco and another year so whatever it is, it’s not important and the gearbox is the same as ever. So after 20,000 miles and two desert trips it still runs as well as when I bought it. No noises whines or leaks. Just what you’d expect really, if not more from this little-known marque. You’d assume a much more common Ford Ranger will be as good.